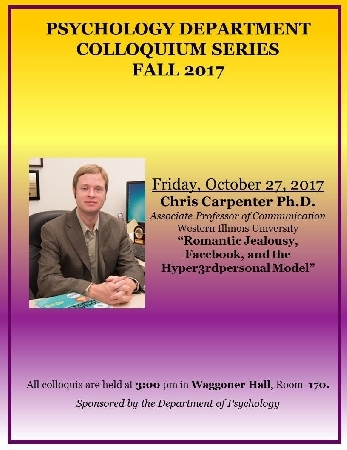 MACOMB, IL – Western Illinois University Associate Professor of Communication Chris Carpenter will deliver "Romantic Jealousy, Facebook, and the Hyper3rdpersonal Model" as part of the Fall 2017 Psychology Department Colloquium Series at 3 p.m. Friday, Oct. 27. 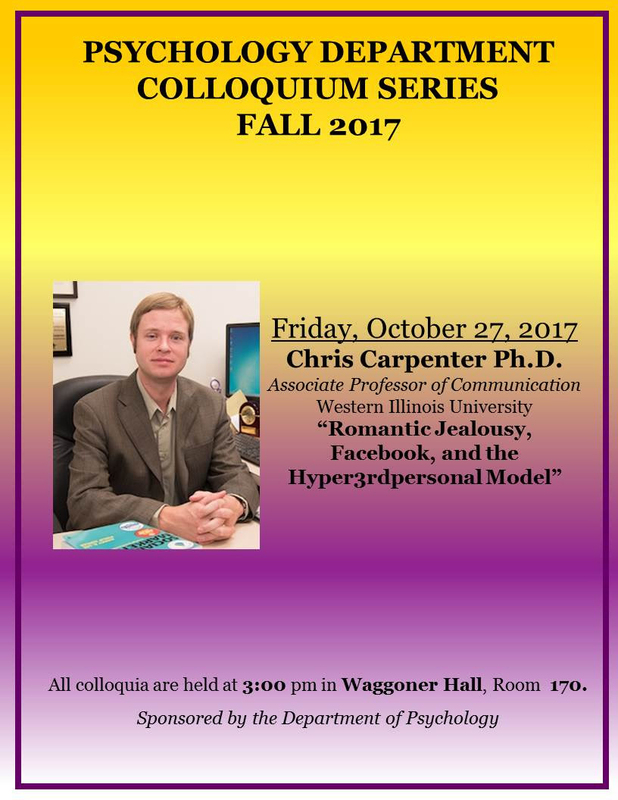 This colloquia, and all others in the series, will be held in Waggoner Hall 170. Each presentation begins at 3 p.m. The series is sponsored by the WIU Department of Psychology. For more information, call (309) 298-1593.